Brewery — Logboat Brewing Co.
During the exploration of equipment manufacturers to supply Logboat with our tanks, we wanted very badly to support an American company. 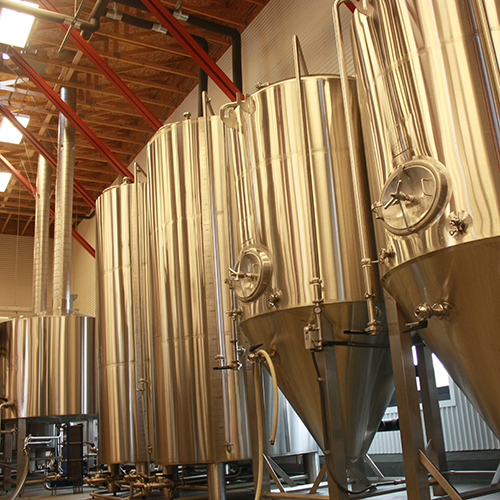 We were discouraged by the pricing associated with U.S. built stainless tanks until our head brewer, Josh Rein, mentioned Metalcraft Fabrication, now MCF Craft Brewing Systems (www.metalcraftfabrication.com), out of Portland, OR. Contacts were made, conversations were had, and before we knew it Tyson, Andrew, Judson, and Josh were on a plane to Portland to visit Metalcraft, meet with their team, design our brewhouse, and put a down payment on what would become the single largest purchase in our lives. 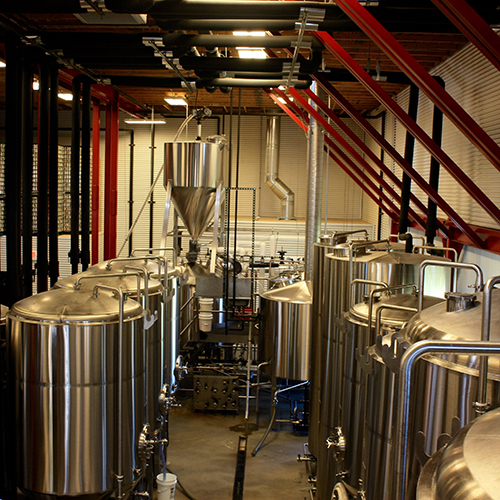 We brew all of our beer on a 30 barrel, 3 vessel brewhouse and currently have 10 fermentation tanks (3 - 30bbl FVs & 7 - 60bbl FVs) and 3 conditioning tanks (2 - 60bbl BBTs & 1 - 30bbl BBT).